His adventure with bugs-as-food began when lab results revealed he should stop eating about 70 other things—including staples like dairy, wheat, and peanuts. Now, barely three years later, the 2015 UO law graduate is among the nation’s first edible–insect entrepreneurs. His company, Cricket Flours, is a runaway success. Turns out crickets taste neutral to slightly nutty. Plus, they’re loaded with protein, amino acids, omega 3 fatty acids, riboflavin, and vitamin A. An avid baker, Wilson began inventing recipes. Unsatisfied with the texture of available products, he resolved to develop his own ultrafine flours and protein powders. The result: a growing line of offerings including pure cricket flour, all-purpose cricket baking flour (mixed with wheat flour), and a range of baking and instant beverage options flavored with either chocolate or chocolate and peanut butter. Wilson, who transferred from Brooklyn College to the UO after his first year of law school, credits his company’s rapid rise to opportunities that he and cofounder Omar Ellis, MBA ’15, received as innovation fellows in the university’s Technology Entrepreneurship Program. “The UO had everything we needed in house, under one roof,” he says. The pair took Wilson’s idea through the Lundquist College of Business’s venture pathway, which supports student travel to international business competitions (think Shark Tank, but more sophisticated). 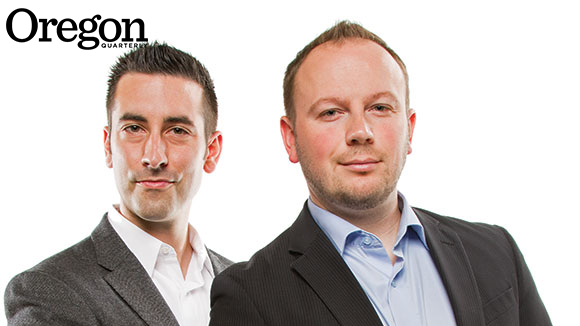 In every contest, they won cash prizes, which they then invested in the business. They launched Cricket Flours last fall while also going to school—and they completed their degrees on time even though customer demand kept them hopping. Their current clients range from the Wayback Burgers chain’s 100 stores (coffee-Oreo-cricket milkshakes) to the Duck Store and the Houston Museum of Natural History (single-serving Cricket Fuel protein packets). What’s next? Wilson hopes to offer baking mixes, and maybe a gluten-free version of the cricket baking flour. And eventually, as the supply chain catches up, organic and non-GMO versions. 80 percent of the world’s people eat insects in their diets—intentionally. 100—number of Wayback Burgers outlets featuring an Oreo mud pie milkshake made with Peruvian Chocolate Cricket Flour. 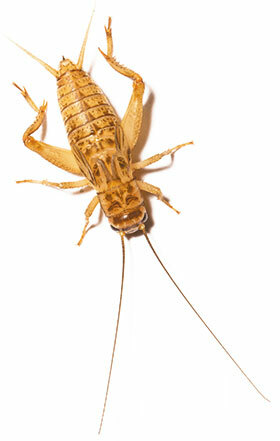 One-tenth the water and one-sixth the feed is needed for crickets, as compared with beef, to produce the equivalent dietary protein. 1—number of cricket flour cookbooks: All Cricket, No Bull by Charles Wilson. 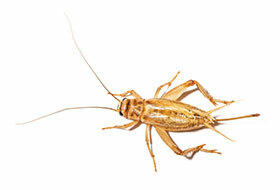 0—number of crickets that may be eaten by vegans or people with shellfish allergies.